A building believed to be an old bunker dating back to the Dutch colonial era in Surakarta, Central Java, will be turned into an office for the civil registration agency and include a gallery where brides and grooms can take pictures or shoot pre-wedding videos. In August, the Surakarta administration resumed work to excavate the subterranean building, which was found buried at a corner of the Surakarta City Hall compound in 2012. Excavation work on the site was first conducted in the same year but was halted in late 2013 because of a lack of funds, revealing only the roof. “A wedding is one of the important events in someone’s life. Carrying it out in a historical place will create a more memorable experience,” Surakarta Mayor FX Hadi “Rudy” Rudyatmo said on Thursday. “[In the future], people will be able to exchange their wedding vows in the facility. The long bunker’s hallway can also be used as a spot to document pre-wedding events,” he added. The Surakarta Cultural Heritage Team (TACB) believes the structure was a bunker of the Surakarta city hall complex in the 19th century, particularly given its proximity to Fort Vastenburg, an 18th-century Dutch fort located some 400 meters from the city hall complex. “Our research connects [the bunker] with the development of Fort Vastenburg,” said Kanjeng Gusti Pangeran Haryo Dipo Kusumo of the TACB. 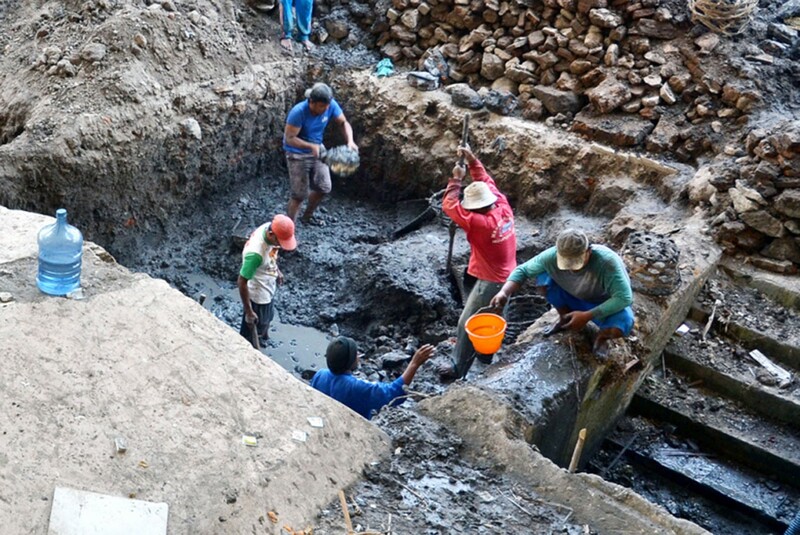 The excavation work in 2012 was carried out by the Central Java Cultural Heritage Preservation Agency (BPCB) and the Surakarta administration to reveal the original function of the structure. At the time, the BPCB was reluctant to define it as a bunker, arguing that there was a possibility that the structure, which measures about 16 by 24 meters, had been part of a drainage system. The Surakarta administration has earmarked Rp 747.81 million (US$52,346) for the restoration work. Taufan Basuki from the Surakarta Public Works Agency said it was feasible to turn the structure into offices for the civil registration agency, which is located nearby. “It is possible to turn the bunker into a gallery or office space,” said Taufan, who appeared convinced that the building used to be a bunker indeed, citing a statement by a Yogyakarta archeology team that basements were often used by the Dutch to store weapons. Rudy promised that the future restoration work would be done in a prudent manner to ensure that the building maintained its original features, while at the same time ensuring the safety of visitors and wedding officers. “We are involving the Central Java BPCB in carrying out the restoration work,” Rudy said.